"It seems all things beautiful are illuminated badly...and it is in the shadows that we hide our longing." Introduced to Ivan Von Noshrilgram Sr.
Alistair A. Vogan is a Canadian script doctor and author whose career in storytelling stretches over three decades. Some highlights include his time spent on Parliament Hill working with the (then) Prime Minister of Canada, Jean Chretien, and in feature film story development with Saturday Night Live staff writer / feature film director Adam McKay and Canadian comedy legend / director Bruce McCulloch. In addition to being a contributing writer for the wildly popular The Kids In The Hall North American Reunion Tour, 'Same Guys, Different Dresses', and a produced playwright ('The Crash of Twenty-Nine'). 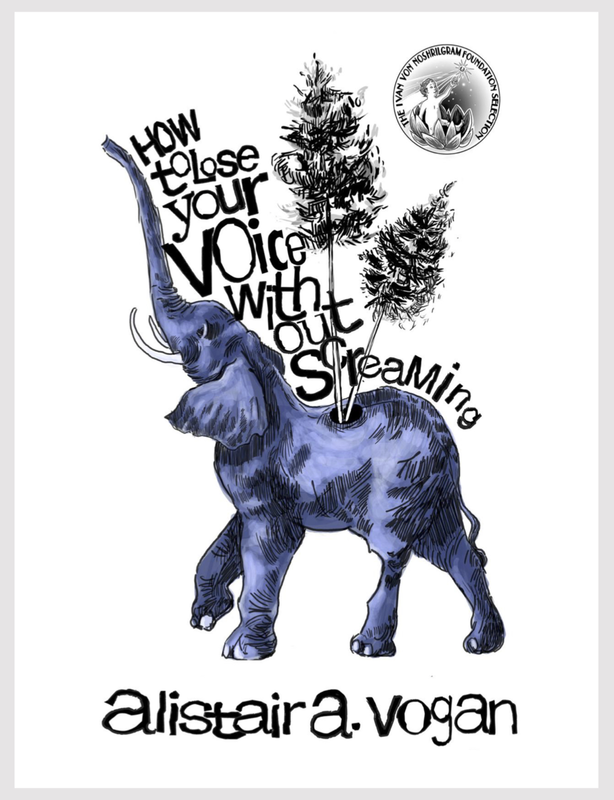 Alistair spent nearly a decade as a professional screenwriter and script doctor (Imagine Entertainment and Warner Bros. Entertainment Inc. etc) before writing the first words of The Ivan Von Noshrilgram Foundation classic HOW TO LOSE YOUR VOICE WITHOUT SCREAMING (Volume One). Alistair's second work is the hysterical BY DEGREES THE GENTLEST ASININE EXPRESSION, published by 'The Foundation'. This satirical collection, written in the spirit of David Sedaris, Mark Twain and Woody Allen, captures the lives of two families across six decades and four continents, and examines the unspoken connection between the Stockholm Syndrome and the family bond. Alistair is engaged in a number of projects. 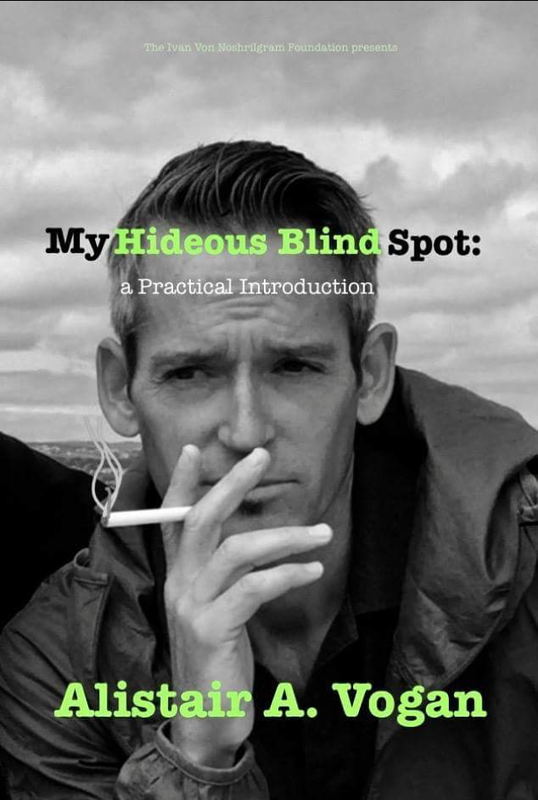 He is presently awaiting the release of MY HIDEOUS BLIND SPOT: A PRACTICAL INTRODUCTION, a bildungsromanian novel set in the 90's. In the summer of 2020 Alistair will be directing the film AND THE MORNING LASTED ALL DAY in a coproduction with Pinecrest Pictures International. Alistair is presently a visiting researcher at United Arab Emirates University focusing on the intersection of A.I., robotics, and cognition. Following this will be the non-fiction book FOCUS which will examine the fundamental nature of cognitive closure in art, religion, self deception and the construction reality. Fiction up next: SPOT, an exploration of quantum mechanics, gravitational singularity and the end of all time, but in a funny way. It is expected to be released in late 2021. Kingsley Kuchner has a secret. A secret even he doesn't know he has. And soon, he's going to share it, and bring an end to the world we know. How to Lose Your Voice Without Screaming explores with compassion and laugh-out-loud humor what can happen when we repress a very big secret. Part mystery, part romantic comedy, a bildungsroman, of sorts. It's what you'd get if the Cohen Bros lampooned the New Journalism of Truman Capote and Tom Wolfe while receiving guidance from a young Woody Allen. "This story will change America, forever. Let me correct myself. ...It already has." In 1965, Ivan Von Noshrilgram Jr was born into a large family of eccentrics, lead by the illusive Ivan Von Noshrilgram Sr, celebrated philosopher-botanist, wild game hunter, exotic animal trainer, extinguished firewalker, writer and humanitarian lecturer. With his latest By Degrees The Gentlest Asinine Expression, Alistair A. Vogan, author of How To Lose Your Voice Without Screaming, explores the unspoken connection between the Stockholm Syndrome and the family bond. With this heroic act he suggests with a surprisingly nimble mind, a refreshing wit and great hilarity just how we all, eventually, arrive at the doorstep of The Ivan Von Noshrilgram Foundation. Scott P. Andersen is smart enough. or at least he should be. He knows there’s something very wrong - perhaps with everything – but he can’t quite put his finger on it. It’s 1995 already, for starters, and he and his high-achieving girlfriend, Emily, are in his DECREPIT Toyota Tercel drifting awkwardly along an all-too-familiar highway towards the unlikely wedding of their old university friends Boris and Janet. This should be enough. However, As he sifts through time to key moments in their relationship while enumerating the folly of his peers and the fundamental idiocies of the 20th century, Scott begins to sense that he may have figured it out. …Or has it slipped through his grasp, somehow? The Ivan Von Noshrilgram Foundation (2018) & Pinecrest Pictures International Inc.